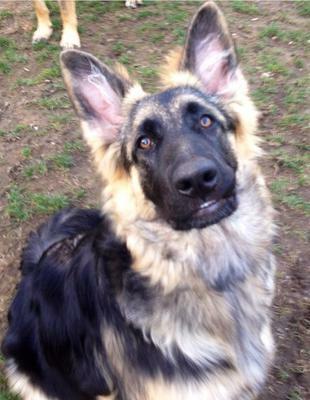 My 9 month old baby girl "Tsunami" is the hands down the sweetest, goofiest, most loving, gentle, clumsy pup ever!!! & yet so protective & loudest bark ever!!!! She is the perfect mix of loving & protective. 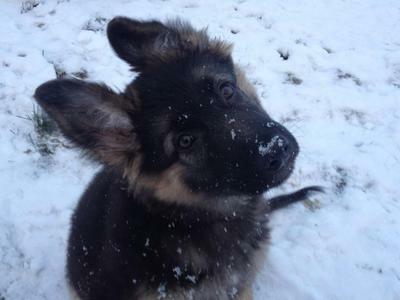 Thank you so much for sharing all the wonderful pictures of your gorgeous German Shepherd puppy, Tsunami. She is beautiful! The pictures that you have sent are great too. 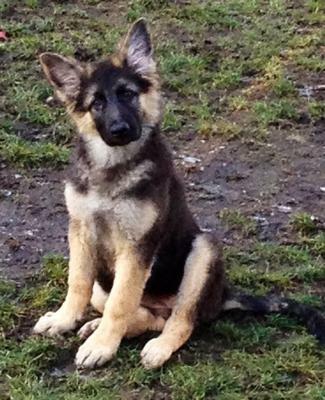 Wonderful - she looks like the perfect little German Shepherd model! I love when they tilt their hands at things too. It is a cute behavior I agree. And make a great video by the way. Continued success with Tsunami! First of all I absolutely love her name! So original! My Neo is 15 weeks old and he is so clumsy trying to grow into those big old paws! I also love it when he puts both ears straight up and tilts his head back and forth, this is such an awesome stage in their growth. Enjoy her for many years to come, she is absolutely adorable! Your puppy Tsnaumi is so adorable! Puppies are alot of work but the reward is so much more. 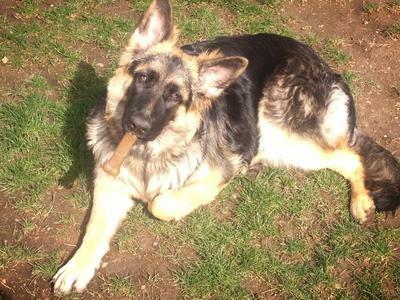 Enjoy your puppy, this time next year she will so big. I love the puppy year, training, teaching and bonding, I miss it, so take in all in. Take care of your girl, Tsnaumi and she will always take care of you!